At times, you need to get creative with how you utilize the space available to you. Just because you’re making concessions on space doesn’t mean that your marketing materials should be any less impactful. 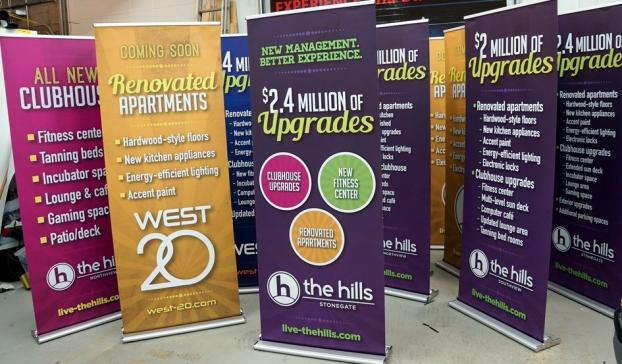 With retractable banner stands, you’ll gain much-needed versatility without sacrificing the visibility you need to expand your brand’s reach. 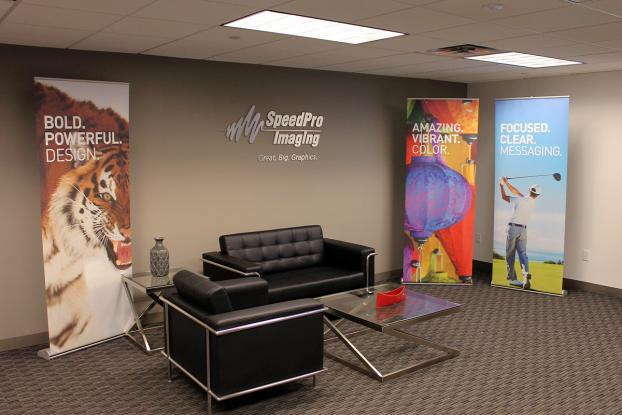 SpeedPro Imaging Lenexa can create a wide range of different products that we tailor to suit your circumstances. Our experts possess the skills and the tools to make good on any assertions that we make. We provide services throughout eastern Kansas — including the entirety of Jackson County — as well as western Missouri’s Jackson and Cass counties. Size constraints often apply to companies that use displays to stage showings at trade shows, festivals and other expos. Your booths often require many different elements, and retractable banners help to reduce the cargo load you need to haul from location to location. 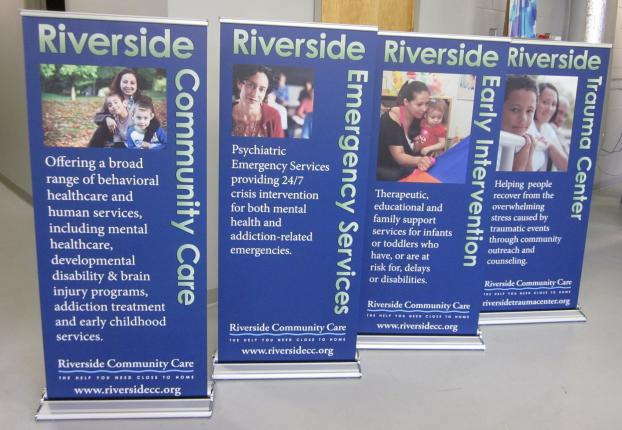 On top of that, these durable retractable banner stands can feature a hardy construction to hold up against the rigors of the road. While travel might be their most popular application, you can also use these stands in a range of scenarios. If you hold seasonal events, sales or promotions, you’ll need branding elements that advertise them. You don’t need the promotional materials all the time, so it makes sense to make them easily storable for later use. Auto dealerships, retail stores and malls can all use retractable banners for this reason. No matter what your planned application is, we’ll be here to take in your request and see it through without hesitation. We’ll consult with you learn your specifications, and then we can discuss the options available through our product catalog. The stands come in multiple styles, and you can customize the internal mechanisms, sizes and metal gauges. In addition, we construct the banners themselves with long-life inks and durable materials to match the resiliency of the stands that hold them. In terms of style for our stands, we offer three primary options — retractable, telescopic and spring-back. We also make three models available — standard, economy and premium. Every choice has its own unique attributes, and it’ll be up to you to decide how well they fit into your plans. We’ll offer guidance whenever you need it. Ultimately, the portability, attractiveness and ease of use of these retractable banners should satisfy you and intrigue potential customers. 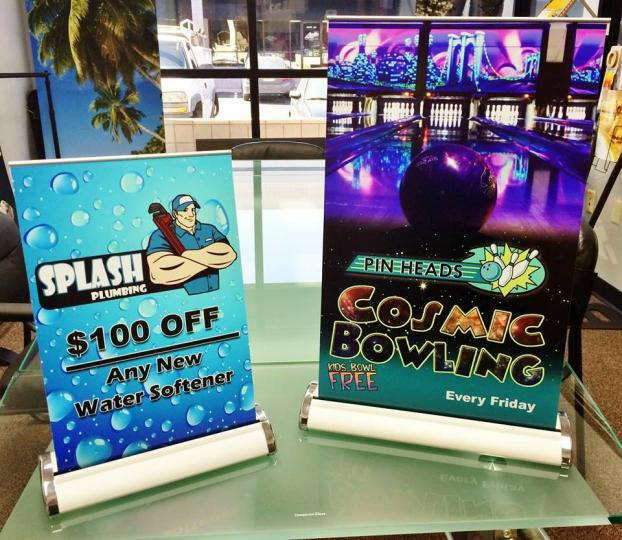 At SpeedPro, our team will happily function as a long-term extension of your marketing team, and retractable banner stands can be the first step in our partnership. If that sounds like a good plan to you, reach out to us now to schedule a consultation. You can also visit our studio, which is located on Strang Line Road in Lenexa. We look forward to working with you.